The Big 5: Maltese specialties not to be missed! The Maltese archipelago lies virtually at the center of the Mediterranean, 93 km south of Sicily and 288 km north of Africa. The archipelago consists of three islands: Malta, Gozo and Comino with a total population of over 400,000 inhabitants occupying year area of 316 square kilometers. Malta is the largest island and the cultural, commercial and administrative center. Gozo is the second largest island and is more rural. This island is known for fishing, tourism, crafts and its agriculture. Comino, the smallest of the trio, has one hotel and is largely uninhabited. Malta have delicious culinary specialties. The basis of the Maltese Kitchen call ‘The Cucina Povera’ or ‘The Kitchen of the Poor Man’ that is the one who treats at a lower cost. ‘The Cucina Povera’ is a mix of Italian and Arabic cooking style, created one of the first diverse flavor mergers in the world. From the starters to the dessert, we will be detailing selection of Maltese best specialties! 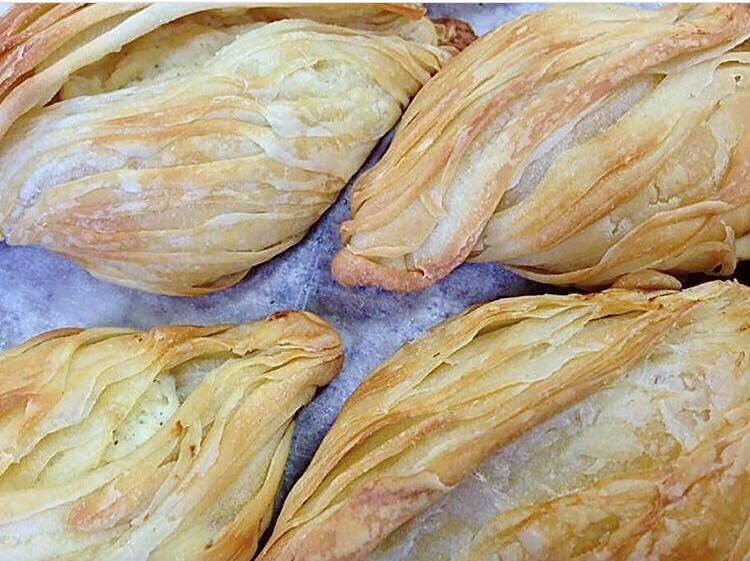 This is one snacks not to be missed on the island of Malta, the Pastizzi. You can find this in specialty's pastizzeria, all over the island. These delicious snacks are traditionally made from filo pastry or puff pastry and are filled with either ricotta cheese warm ' tal-irkotta' or mushy peas ' tal-pi?elli' or with chicken. It is also possible to eat it at any time of the day, with a glass of Kinnie, just to compliment the snack. This snack can be found in restaurants or supermarket all over Malta. Don’t miss the opportunity, what are you waiting for? ‘Stuffat Tal-fenek’ also known as ‘Rabbit Strew’ is one of the most popular ways to cook rabbit in Malta. The rabbit is a commonly used meat in Malta which can be cook in various way. The ‘Stuffat Tal-fenek’ can have different accompaniment like pasta or just local vegetables (i.e. onions, carrots, potatoes and tomatoes) or the Maltese bread. The stew take time to cook, with a resting time of 3 hours, for the meat to loosen from the bone with easy. ‘Hobz biz-zejt’ like "bread with oil" is a traditional Maltese snack especially for the summer. This bread, the "Fitra" is a disc-shaped, semi-flat with hole in the middle often. This snack usually contains rubbed, fresh Maltese tomatoes or tomato paste, tuna, capers, onions, sea salt, olives, garlic and pepper. The accompaniment can be different depending on each person. Gozo island is more pastoral than Malta, for this reason we can find many more farmers who make their cheese generally in the morning and sell the goat cheese in the afternoon. Due to this common routine for farmers, the cheese found here are mostly fresh and the freshest cheese you can find! It's very delicious for a dessert after a delicious rabbit stew. This cookie known as ‘Kwarezimal’, is associated to religious feasts. This cookie is a chocolate cake in kernels and walnuts in which we eat at the time of the fest during the fasting period. ‘Imquaret’ is a pastry in the shape of diamond is furnished with dates and fried, it's a dessert with Arabic influence.